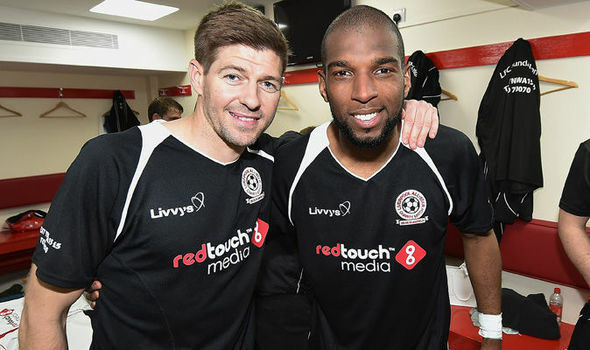 Ryan Babel was back to Liverpool but this time not as a player but as a visitor. The former Liverpool winger said that he still likes the club as well as the city. He visited the city and made a video documenting his visit that he posted online. It has been five years that the winger has left Liverpool but he clearly still loves the city and to hang around with his friends. He was filmed visiting some popular sites in Liverpool, and he stated that the city has some nice bars, clubs, and restaurants. Ryan Babel stated that he still loves the city and that he still has a house there. He said that he visit the city whenever he has some free time and that he still love to stay in the house that he bought. He feels at ease there. He admitted that a lot of things have changed in the city since he left the club, but there are still some great places to visit as a tourist. When asked how he feels about the Liverpool FC, he said that he still has some good memories of his career there. He stated that he has a good relationship with the club and also with the staff. He said that fans still recognize him as a former Liverpool player on social media and that it is an honor for him to have played for this big club. He said that playing for Liverpool has been an amazing moment in his career and that he will always be cherishing the memories. One person however that Ryan Babel would have certainly disliked during his Liverpool career is Rafael Benitez. He has accused the Spanish manager of being the one that ruined his career while the latter said that Babel did not have the level. Liverpool cult hero Ryan Babel could be set for a move to the MLS during the summer transfer window. The Dutchman recently filmed his trip to the Merseyside, speaking of his affection for the city. He stopped by some familiar sites in South Liverpool and the city centre. He also made a quick stop by the house of former rival Steven Pienaar. Babel left Anfield five years ago in an over five million Pounds move to TSG Hoffenheim. 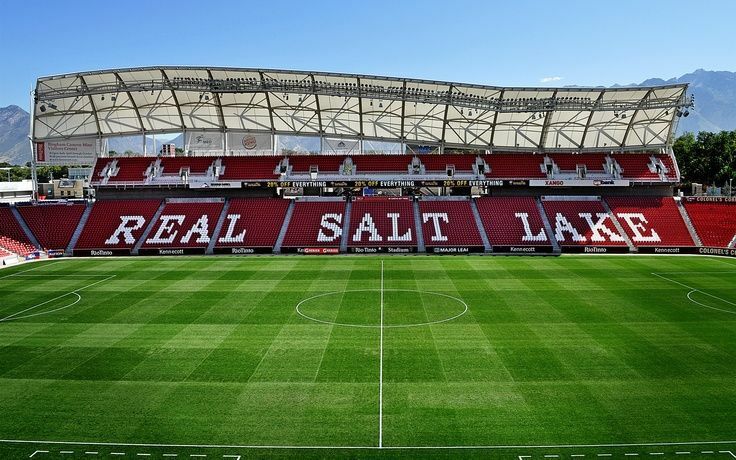 The player who seems retirement bound is rumoured to be interested in a move to Salt Lake City in the MLS, after leaving former club Al-Ain FC in the United Arab Emirates earlier this year. “I remain having good memories from my time at Liverpool. I’ve still got a good relationship with the club and the people around the club. The fans still honour me every day on social media, I respect all of the people who give me the props for the things I have done for the club,” Babel said of his time at Liverpool. “A lot has changed since I left. You have a lot of nice places, bars, clubs and restaurants. Which you can visit if you’re a tourist,” he added in his video of the city. Babel was set for a move to Turkey to join Fenerbahce after the UAE champions gave him the go ahead during the last transfer window. He was to return to Turkey with team mate Emmanuel Emenike as the club claimed both were not fully committed. Though Emenike scored nine goals in 15 appearances, Babel had a poor run throughout his stay with just two goals since his move from Kasimpasa. Al Ain sought replacement for the players in Colombian winger Danilo Asprilla, 27, and Brazilian striker Douglas, 28. Emenike eventually returned to Fenerbahce, his parent club who loaned him to UAE, and then he played the rest of the season at West Ham while Babel, 29, couldn’t get any club fuelling the speculation of his move to the MLS. Ryan Babel used to be a hugely promising player when he signed for Liverpool at the age of 17 for a fee of £11.5 million. The Dutch footballer was even compared to have similar abilities to Thierry Henry as Marco van Basten said that Babel has the talent and skills to become the next Thierry Henry but he failed to live up to the hype and expectations from everyone. Throughout the entire playing career of Ryan Babel, he has gone through a number of clubs including: Ajax, Liverpool, Hoffenheim, Kasimpasa and his current team is Al Ain. Even though Ryan Babel joined Al Ain on July 2015, he has never managed to get any playing time with the club UAE club and it doesn’t seem like things will be changing anytime soon as a board member of Al Ain has revealed details concerning Babel and it’s not good news. Mohammed Obeid Hamdoun is a board member of Al Ain and he recently revealed that Ryan Babel never really showed any motivation or signs to perform with the club and it’s one of the reasons why he has not been able to get with the main team, as he just simply does not want to as well as also having disciplinary issues with other members of the club. “I think Babel will go back to Turkey to play with Fenerbahce. This is normal in football. Sometimes big name and big players come and don’t do anything here. This can happen in any team. Sometimes you bring one big name and he doesn’t want to play that’s my opinion on Babel.’’ Mohammed Obeid Hamdoun of Al Ain said. The head coach of Al Ain, ZlatkoDalic has also talked about Ryan Babel’s current situation in the club and the future of the Dutch footballer appears to be linked with a move away from Al Ain as he does not serve any purpose and will not serve any role with the UAE club at all. “I want to say thank you to Babel for the last six months with us. I wish him all the best next season at a new club. This is football, this is life. Also, we did everything that our fans wanted of us. I hope to make them happy.’’ ZlatcoDalic said as he wished Ryan Babel good luck, who will probably leaving Al Ain after an underwhelming period of time with the UAE club. Is Ryan Babel a summer target of Galatasaray? Ryan Babel has not made a single appearance for his current club Al Ain since December of 2015 but he still an ongoing contract with the club which extends until 2017. The time that Babel has spent performing with Al Ain has been a forgettable one as the Dutch player has had to deal with problems involving disciplinary issues and has even faced problems in relation to things that he has done in the world of social media. “I know I have not performed at 100 per cent until now and I promise everyone that I will do my very best in the coming period and I await the fans support for myself and the rest of the team. I hope that Al Ain’s supporters can trust me. Given another, last chance I have no doubts that you will back me when I wear the Al Ain shirt so that I can perform to your expectations. As a team we will be stronger and can win titles domestically and on the continent.’’ This is the statement that Ryan Babel released within the opening few weeks after having signed with Al Ain as he vowed to perform at his best and avoid going through problems but it hasn’t been working out for him. Babel has made less than 20 appearances with Al Ain but he has already received a red card as he was sent off during Al Ain’s match against Dibba. Despite all of these issues that Ryan Babel has gone through, it’s rumored that Galatasaray are interested in signing him and considering that he has not played a single match for Al Ain in over 1 year, Galatasaray should not find it difficult trying to sign Babel in the approaching summer transfer window. Despite only 29, Ryan Babel is not playing anymore football despite having not retired yet. Indeed, the winger is in conflict with his current club Al Ain because of wrong behavior. e is accused of using social media in a sexist way when he replied to a woman on Twitter. The fan asked Babel about his issues with Rafael Benitez, and the former replied that girls should not be talking about football. This has sparked plenty of reactions across Twitter where other people have questioned Babel’s attitude towards women. 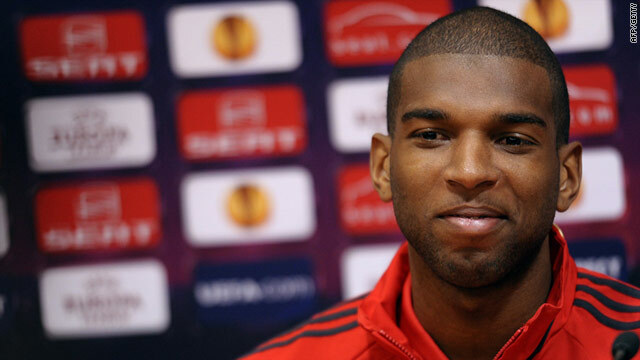 It is a well-known fact that Ryan Babel does not really like Rafael Benitez. This animosity started way back during the time when Benitez was managing Babel at Liverpool. Babel blamed his poor career on the way the former Liverpool played him. According to Babel, he never played three games in a row and that the Spanish manager did not have what it takes to develop young players. Babel also criticized the appointment of Rafael Benitez as Real Madrid coach. He joked saying that Ronaldo will be played in defense when Benitez takes over. His comments over Benitez have not gone well with some Liverpool fans, and this has prompted them to question Babel’s attitude on Twitter. This is the origin of the insulting reply made by Babel on Twitter. Ryan Babel played for Liverpool from 2007-2011 and managed to make 146 appearances for the English team. He scored 22 goals along the way. He will then move to Germany to play for TSG 1899 Hoffenheim where he managed to make 51 appearances while scoring six goals. On the international scene, Ryan Babel has represented his country Netherlands at both under-21 and senior level. He participated in the 2010 World Cup as well as the 2012 Euros finals. With transfers and transfer options on the horizon, there’s been a lot of rumours and speculation going around for a lot of major players and teams this season. First, we have some Liverpool rumours that Volland from Hoffenheim and Kostic from Stuggart are both being scouted. They have a very high interest in bringing the two to the club to restructure their team. Both of the players are a young 23 years old and both of them are very good on either flank. Volland has also been known to play a very great game as a central striker. Volland has had 26 Bundesliga appearances this season and has an impressive track record this season alone of five assists and seven nets. One of those appearances also provided him the opportunity to provide the team an opportunity to make a decent return. While Volland’s release clause is set at a very cool £14 million, this number is an absolute steal for Liverpool. Klopp’s attacking line may be fierce but it’s still in need of some fine tuning. This is where the Serbian winger Kostic could come into play. He has shown his excelled skills in dribbling the ball and he’s also very good at crossing the ball with very high accuracy. He impresses players again and again with his fancy footwork. However, Liverpool has an obstacle with Kostic because while he wants to leave Stuttgart, it’s reported that he’s only going to move to a club that will offer him European football. In other rumoured news, Liverpool is said to have made contact with River about bringing Alario to the team. However, Los Milonarios said that they want more than they initially asked for, which was £5.7 million. Instead, they’re reporting to hold out for almost twice the initial amount and don’t seem to be budging. While Liverpool is currently short on great strikers, the price may not be too unreasonable. Former Liverpool winger Ryan Babel looks very keen on a return to Turkish football after being pictured recently Turkish capital Istanbul. Babel is playing for Al Ain in the Middle East, but it appears that he is not very keen on continuing with the club. Despite having moved to Al Ain only six months ago, Babel has already made indications that he would like to return to Turkey where he has spent the better part of the last few years playing for clubs like Kasimpasa. This . The Turkish giant is keen on a revival in fortunes, which is yet to arrive even after several managerial changes. Hence, the club are going into the belief that they need a transformation in the squad in order to be competitive once again. Babel has a lot of experience of European football from his time at clubs like Liverpool and Ajax. He also knows Turkish football very well after having played for Kasimpasa. The Dutch winger recently posted a picture of his Kasimpasa days on Instagram despite being contracted to Al Ain. The Middle East outfit are unlikely to fine him, but they are very keen on receiving a substantial transfer fee. The player still has 18 months left on the two-year contract that he signed a short while ago. Galatasaray further slipped behind table leaders Fenerbahce following a 3-2 loss against Osmanlıspor. This was yet another setback for the team, who appeared to be on the way in recent weeks. After managing to go unbeaten in three league outings, they have suffered this loss that now allows teams like Istanbul Basaksehir FK to catch them. The sale of Al Ain would allow the club to sign a new foreign player. The club can have only one foreign name in the squad.